The Indian Naval Offshore Patrol Vessel INS Sunayna, a state-of-the-art front line platform of the Indian Navy is on an Overseas Deployment to Abu Dhabi to participate in the International Defence Expo 2017 (IDEX 17) and Naval Defence and Maritime Security Exhibition 2017 (NAVDEX 17) in Abu Dhabi (United Arab Emirates). The ship entered Mina Zayad port, Abu Dhabi, United Arab Emirates on 18th Feburary 2017. 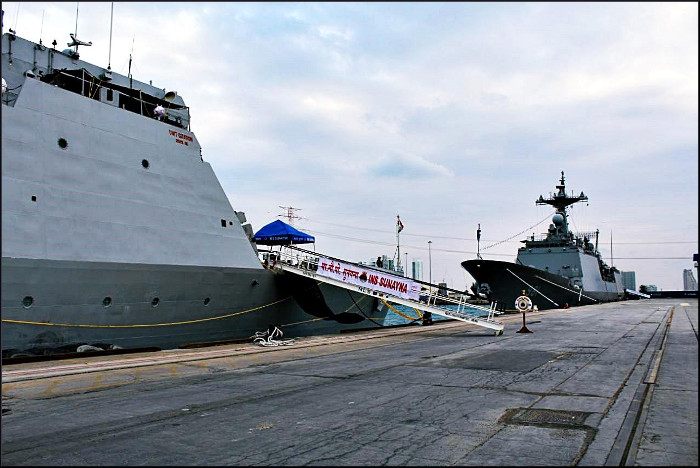 INS Sunayna will be participating in various events as part of IDEX 17 and will also utilise this opportunity to foster stronger relations with other friendly navies participating in IDEX 17 / NAVDEX 17. 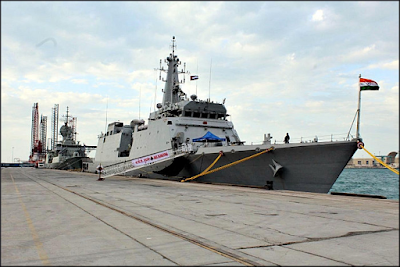 Built is Goa Shipyard Limited, INS Sunayna, is a fine example of India’s warship building capability and the promotes ‘Make in India’ concepts in the international exhibitions. 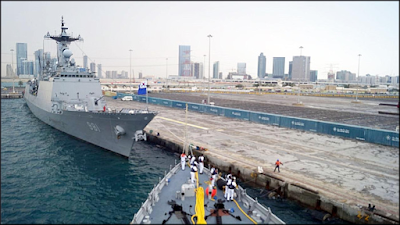 The ship was given a warm welcome and was greeted with a ceremonial reception by Brig Salem Al Maherzi, UAE Navy Fleet Commander and UAE Military delegation. Later in the day, Commander Vikas Guleria, the Commanding Officer of the ship, attended International Defence Conference at National Archives’ building hosted by IDEX /NAVDEX Chairman HE Mohammed bin Ahmad Al Bawardi, the Minister of Defence of UAE. The conference had many luminaries from the academic and defence world who spoke on aspects of disruptive emerging technology and innovation, Cyber warfare and defence and security control to mitigate multiple disruptions.